Wishful Thinking and Self Talk? I recently read Mr. Thom Powell’s newest book, “The Edge of Science”. I found it fascinating reading… Thom’s penchant for wit is alive and well in this quasi- scholarly treatise on the life and times of our hairy friends. But, in it, I read something that has given me pause and reason to think deeply about the subject. I’m afraid I would have to take major exception to this opinion… and not even a “considered opinion” at that… but merely a gut reaction to describe an event he has never experienced and, therefore, has no personal evidence either for or against. I have had occasions of this phenomenon and I can assure Mr. Barackman that my “Self Talk” plays no part in it and my wishful thinking even less. This is not a new condition. I experienced this before ever knew sasquatch was capable of such. Here, I will relate only ONE such case, though there are many others equally compelling that I could cite. At the time of this event, I had known of the sasquatch people for some time. I had had several sightings and I had enjoyed watching them on occasion for extended periods of time, but I had never had “communications” with them that I knew of or would understand. It was the winter of 1981 and I was living in Chehalis, WA. It is wet in western Washington and this night was doing its level best to keep that reputation intact, if not to enhance it. I had spent the evening at my friend’s home near the town of Tenino and had left to return home. The highway from Tenino to the Interstate 5 junction near the town of Rochester at Grand Mound is of concrete and is quite straight. Actually, it is part of old Highway 99 that was once the major north-south route from Mexico to Canada. In this approximately ten mile long stretch of highway there is only one very slight curve until very near the I-5 Junction. Being winter, it was basketball season and on this particular night, Rochester High School had visited Tenino High School (a major rivalry for the two schools) and I happened to catch the exodus from Tenino at the conclusion of the game. I was traveling at a very reasonable and safe speed for a dark and rainy night as I traversed the dimpled Mima Prairie and neared my goal at Ground Mound and the fairly severe curve that waited there. As I approached the end of the straight prairie stretch, I could see a set of headlights coming up on me from the rear very rapidly. Since I was traveling in excess of 55 miles per hour, I knew he had to have been traveling at well over 80 mph. As he passed me, I received a single thought, telepathically transmitted, “Slow down, he will not make the curve” as his taillights disappeared around the bend ahead of me. I immediately slowed and approached the curve slowly to find that he had, indeed, spun out and was off the side of the road in the tall grass. Fortunately, he had not rolled and it was nothing more than a spin out. Indeed, all the occupants of the truck wore letterman’s jackets from Rochester High School and, after ascertaining that no one was injured, I proceeded to the C-store at Ground Mound, just across the Interstate and called for help for them. At NO time during this message did I express any “self-talk”. At no time was there any wishful thinking involved… a vehicle passed me at a high rate of speed… too fast for the conditions… and lost control… and I was warned of it before and while it was happening. There are other cases of this happening and of other uses of this ability but this will serve to demonstrate my meaning. Further, if it were wishful thinking, why would I feel the need to argue with it… “I don’t feel like doing that…” or “I’m too tired to do that right now…” are not examples of wishful thinking.. they are perfect examples of being convinced in SPITE of my own thinking. Thom devotes a good deal of time to this nuance and, although it seems trivial in nature, it is most profound in the meaning of things. 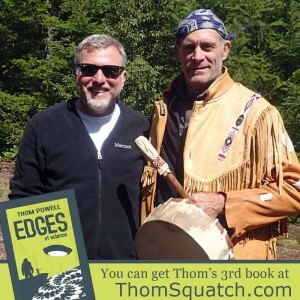 I invite you to spend time with Thom in his pursuits of the truth… the book is “The Edge of Science” and it’s available on Amazon.com in hard copy and on Kindle. A very few years ago, my mentor had a gathering at her home wherein she had selected people in to teach a very specific craft. One of those attending was a fellow named Stewart who was a government agent. 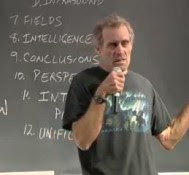 Stewart was very interested in the Sasquatch/Bigfoot phenomenon but absolutely decried the possibility of anything like mindspeak or telepathically transmitted thoughts or ideas. Although this gathering really had nothing to do with the subject, my mentor’s home is alive with activity from the large fellows and in the evening, Stewart asked my mentor if it would be alright to walk with her down a ridge near their camp. While on this walk, they came onto a scene that was very difficult to believe. In the bright moonlight, they could see sasquatch individuals very near them. The pair stopped and Stewart indicated that my mentor should remain where she was while he moved away from her for a short distance. I was not there. I did not witness this firsthand, but I did hear accounts of it from the two people involved. These are both people I would consider “above reproach” in such matters and would trust their testimony implicitly. Stewart is a Federal Law Enforcement Agent and in this capacity within the agency he represents, he is required to carry a weapon at all times. He explained this to the “voice” inquiring and stated that it was for no other purpose than for self protection from other humans, and was not for them at all. He explained that it was requirement of his position. Evidently this was acceptable because they dropped that line of discussion and proceeded on to other and greater things. Here, on a spring evening under the light of a full moon, a person who would not countenance the possibility, even, of mind-speak learned of the veracity and power of it. A man who holds a very responsibility in the community and is unimpeachable in his testimony related to me first hand exactly what happened to him that night on that ridge in Oklahoma at what was intended to be an exercise in learning a craft… when he was shown the power of these people. In Thom Powell’s book, he devotes a chapter to our large, hairy friend’s penchant for finding our lost possessions and and either keeping them or returning them if possible. Thom chronicles events during a visit to “Bigfoot Holler” in southeast Oklahoma. During a night sojourn, while traveling in a quad off-road vehicle with two others, the trio came upon, first, a piece of litter being held in place by a brick sized piece of native stone. This occurred on an obscure track through the brush enroute to a “camera trap” that had been set up and maintained by one of the Mid America Bigfoot Research Association’s (MABRC) members. After viewing this member’s elaborate lighted display camera trap (which, by the way, has never produced a single usable photo in its years of existence), Thom was given the option of returning to camp or continuing their journey into even more remote areas and returning to camp via a more circuitous route… he immediately opted for the latter as he wanted to see more, if possible. No ape did that. That took intelligence, cleverness and perhaps even some foreknowledge or control of the situation. None of these are attributes found in a pongid species. It takes a homonin species to attain this level of sophistication. Upon return to the main camp, the person who had lost a radio the week prior did, indeed, identify conclusively this radio as being the one he had lost and had given up all idea of ever recovering. Amazing as that seems and as unbelievable as it may be, MABRC still maintains the position that this is a relic ape species and has no paranormal abilities. Perhaps this attitude is necessary to justify their position in wanting to kill one for study. It would be very disturbing to kill a human species to study it, but animals have no such stigma. From here, Thom returns to Oregon to discuss some similar occurrences. In his essay, he cites two major examples of like events. Both events occurred within the same general area of Roaring River Wilderness in Oregon’s Mt. Hood National Forest. Roaring River is a tributary to the Clackamas River just at MP 44 on that river. This is a land of towering old growth fir trees… trees that may be eight hundred years old, and steep, precipitous and dangerous to traverse ridges with fantastic views of the high Cascade Mountains with Mt. Hood, Mt. Jefferson, Mt. Washington and even down to the Three Sisters. I highly recommend a visit to this wonderful land be on your bucket list. It is a scene that must be seen to be appreciated. On the occasion of the first incident Thom was enjoying a hike with his friend when they took a break to enjoy a lunch with a view from atop one of the hogback ridges that mark this terrain. During the time they were relaxing and enjoying their view while making two rather substantial lunches disappear, Thom’s friend brought out his new (and expensive) digital altimeter to enjoy. Upon finishing their repast, the pair renewed their trek through the fantastic forest. Within fifteen minutes of leaving their lunch site, it was noticed that the altimeter had not come with them. It was with great chagrin that Thom’s companion realized he’d left it sitting on their “picnic table” in the clearing where they had enjoyed their break. Immediately, the pair turned back and retraced their steps to the very spot where they had sojourned so recently, scarcely a half hour prior, fully expecting to find their missing equipment sitting there waiting for him… It was not! Although they searched the entire area diligently, there was no such instrument to be found. Their first thought was that someone had come along behind them to find it… but, if that were so, where were they? This was a trail in a wilderness, not a sidewalk in Newark! Another human being would have been SEEN! On those ridge top trails one can literally see for miles along the trail and this was no exception. Perhaps another hiker would not be in view continuously, but certainly he would be in view continually… No, this was not another human hiker who had purloined this bauble. The great fictional detective, Sherlock Holmes once was quoted as saying, “When you remove the impossible, whatever is left, however improbable, has to be truth…” Here is the truth… that altimeter was removed by an entity who remained hidden to them during their time there, but was obviously in close proximity for him to have, in less than thirty minutes, removed the instrument and secreted it for his own purpose. I’ll leave each to his own devices to discern the WHAT of this mystery. Very closely following the above instance, another friend was in the same general area of the Roaring River but, instead of being on the ridge top, traversing a relatively broad, well marked trail, this fellow was in the river bottom, wending his way laboriously through the maze of blown down giants that mark such waterways. In these timbered river bottoms, there are so many blown down trees that walking on the ground is virtually impossible. The safest, surest and fastest way is to climb on to one of the downed giants and walk it’s length then move to another and continue on it until it ends… it is usually possible to travel for some distance before having to return to the ground to find another “forest highway” to follow. I must say that this is not something that should ever be attempted in slick soled boots or shoes and caulks are highly recommended. The same is true here… to try and walk these fallen trees, one needs an advantage. In this case, Thom’s friend did not have one and he fell from his log to the wood sorrel and fern below. He was not hurt, except in pride, and quickly walked to the next log and climbed back aboard continuing his way down the river. It was not until he had returned to his vehicle that he discovered he had lost the revolver he always carried for protection when in the wilderness. It was not rocket science to figure out where he had lost it since he had only fallen the one time in his day’s trek. The problem was, it was late in the day and he didn’t have time to return to the site. In addition, his duties of the work week would not allow him to return until the following Saturday. It was not ideal, certainly, but it was what it was. Saturday found him climbing back into the same hole he had traversed the prior weekend in search of his missing wheel gun. Returning to the exact spot was no great problem and even finding the very spot he landed was merely a matter of finding the area of matted wood sorrel and fern there. And… there, laying on the log from which he’d fallen, lay his revolver! There was only one minor problem with the entire scenario… the gun was on TOP of the log, not on the ground below it where he had landed. It would, obviously, take some force to unsnap the strap that held the gun firmly in the holster and that could not have come from the mere fall… or, more correctly for the weapon to be on TOP of the log, the mere start of a fall. The energy required to unlatch the safety catch could only have come from the impact with the ground at the end of the fall. To suggest that the snap was opened by the impact of the fall and then the gun was bounced back up to the log, a distance of several feet at least, is beyond comprehension. Again, to attribute this to humans boggles the mind… it just simply could not be so… the rationale against such an event is so extensive as to make it laughable. It was a denizen of that region in that biome who did this. Thom did, since this incident occurred less than a mile from the prior incident though displaced by some fifteen hundred feet in elevation, ask if they had seen a digital altimeter… it never has returned! The book is “The Edge of Science” and the author is my friend, Thom Powell… get it today… it’s an important work!